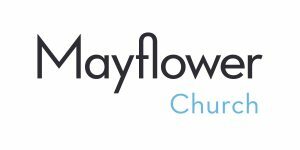 At Mayflower, we are called to become catalysts for justice through communion with God, education and action. We strive towards God’s dream of peace and abundance for all people, seeking to be both transformed and transformational with our social justice work. Workforce housing built with Beacon Interfaith Housing Collaborative is located immediately north of the church parking lot. Completed in 2010, Creekside now is providing safe, healthy and comfortable housing for 30 working families. We honor our oneness with all of creation and work to pull the biggest lever to counteract climate change. Our goals are to become a carbon neutral church building by 2030, to improve our water stewardship, and to ROT (Reduce our Trash!). We live God’s call for just and loving communities by coming together to improve our community in Minnesota and beyond. 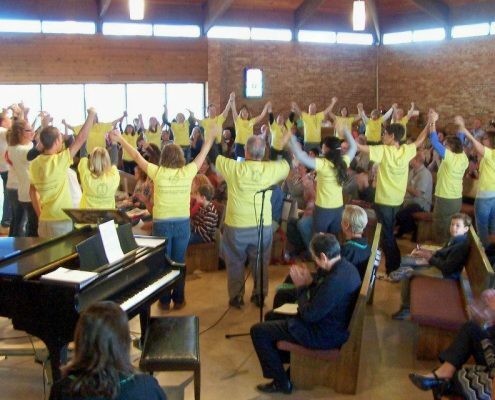 We partner with ISAIAH and MN Interfaith Power and Light. 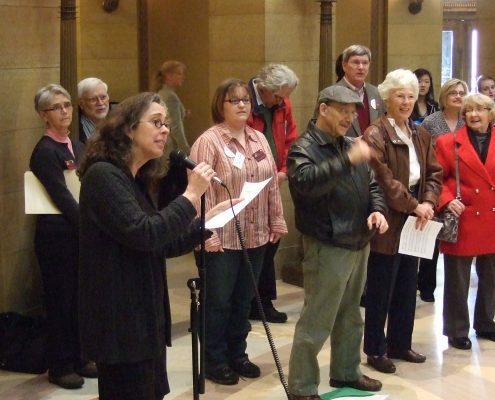 Recent victories include creating the healthcare exchange in MN and defeating the Voter ID amendment. As an Immigrant Welcoming church, we embrace immigrants in our community and work on the injustices affecting people locally and globally. A non-profit organization founded by Mayflower Church, MECC offers a full-day, year-round program for children ages 16 months to six years. MECC’s mission is to ensure low-income families access to high quality early education. 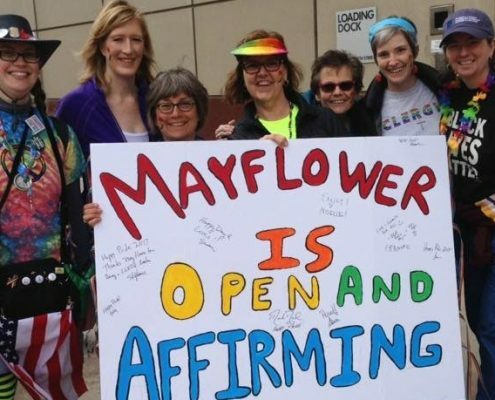 Mayflower members are actively on a spiritual journey of liberation from racism. 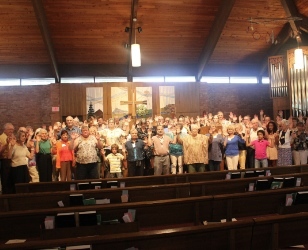 This ministry team encourages cultural encounters in the wider community and opportunities for education and transformation on matters of racial justice. 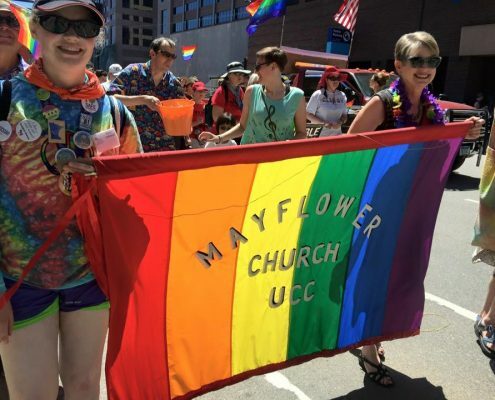 Mayflower Church works with effective partners toward God’s dream of justice.